Planning gives the surgery and assistants confidence. 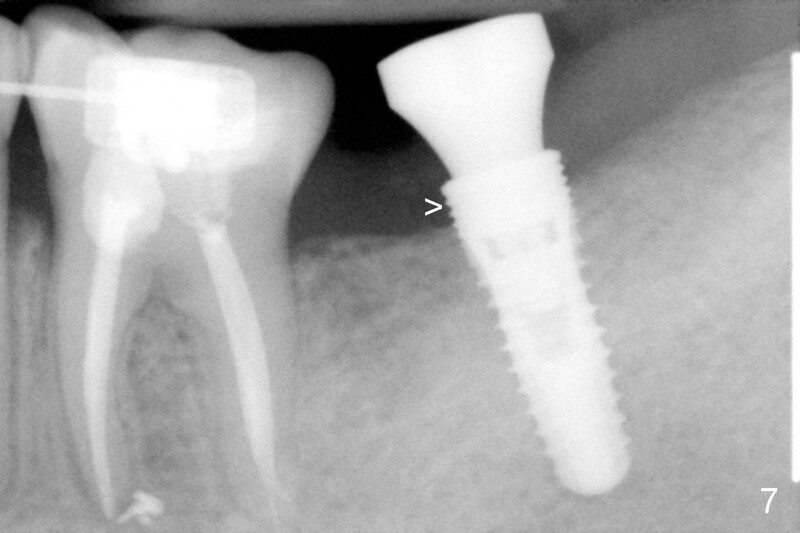 Implant placement seems to be more smoothly. 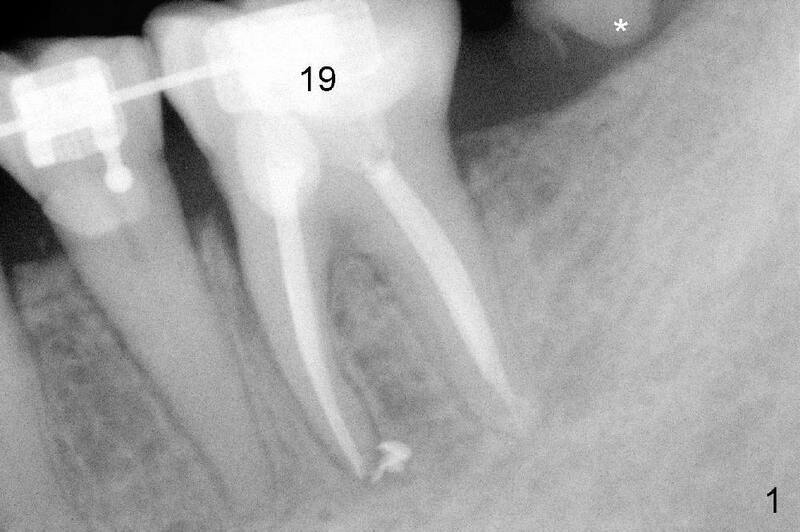 A preop PA (Fig.1) shows that the periapical radiolucency of the neighboring tooth #19 disappears. Removal of the residual roots of the teeth #17 and 18 (Fig.1 *) gives rise to a nice surgical field (Fig.2, the sockets packed with Clindamycin soaked gauze). 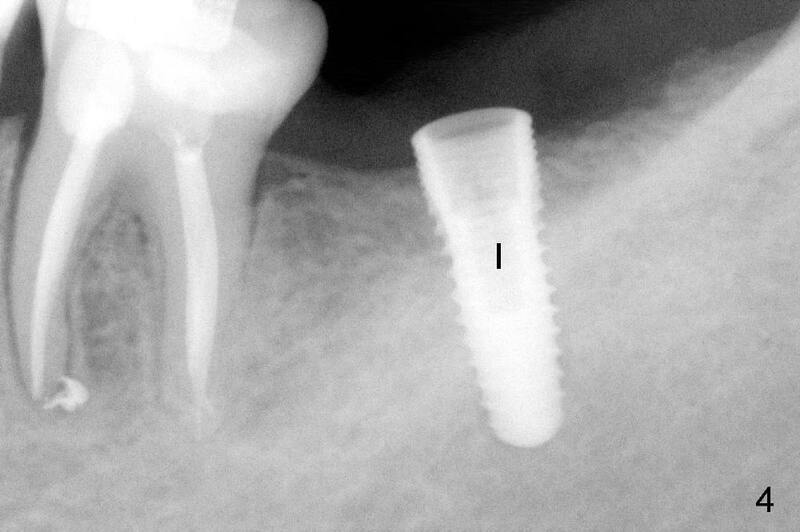 Immediate implant osteotomy is formed as mesial as possible of the wound. Attention is being paid to buccolingual trajectory when the first pilot drill is used (not shown). 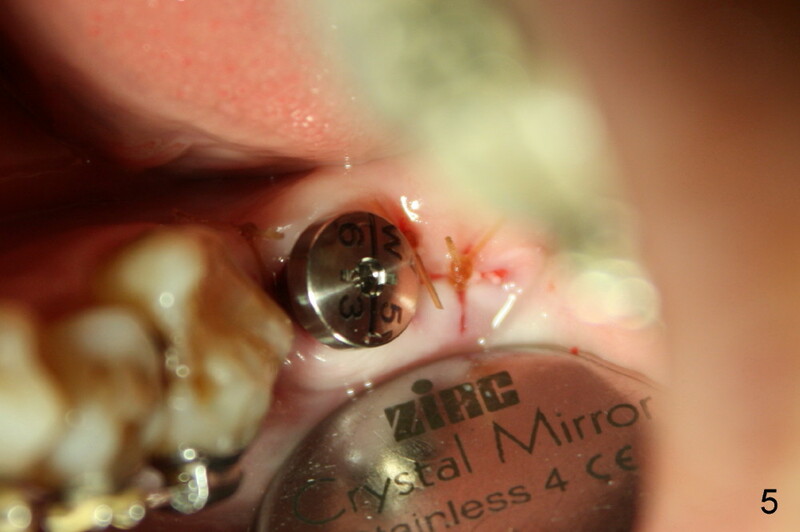 An intraop PA is taken with a 3.8 mm tap in place to confirm the depth of the osteotomy relative to the inferior alveolar canal (Fig.3). 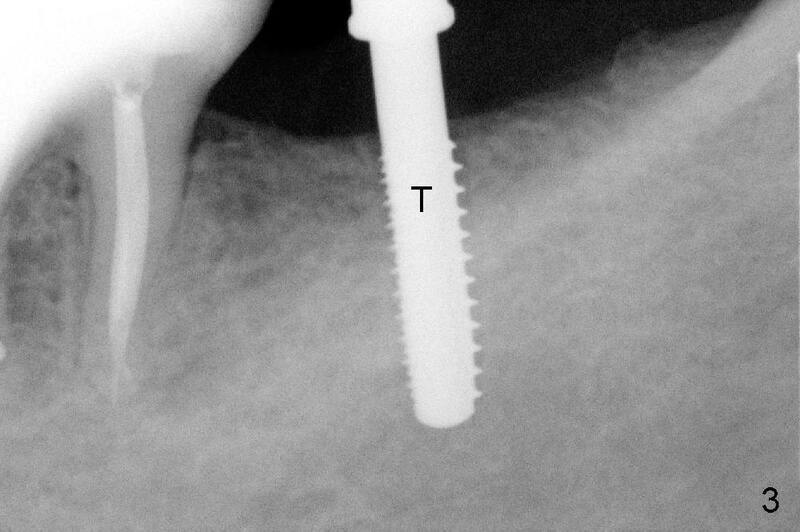 A 4.5x12 mm implant is placed as planned (Fig.4). 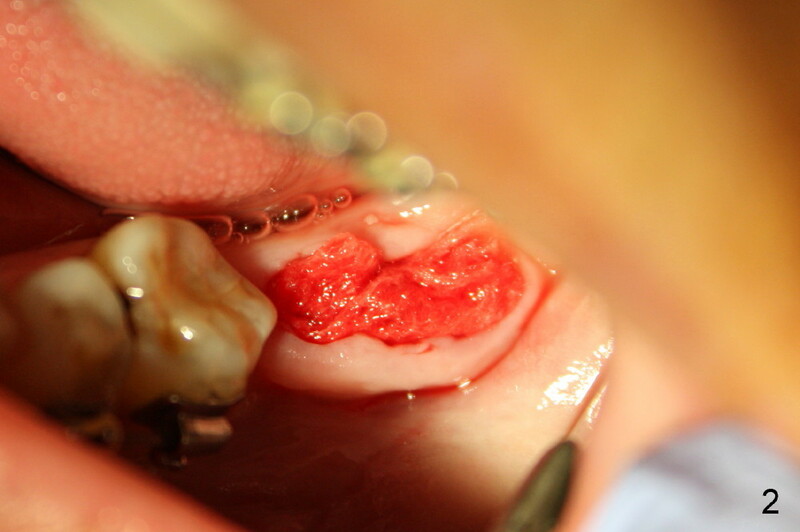 The elongated wound (mesiodistally) allows the wound to approximate around the implant/healing abutment with sutures (Fig.5). 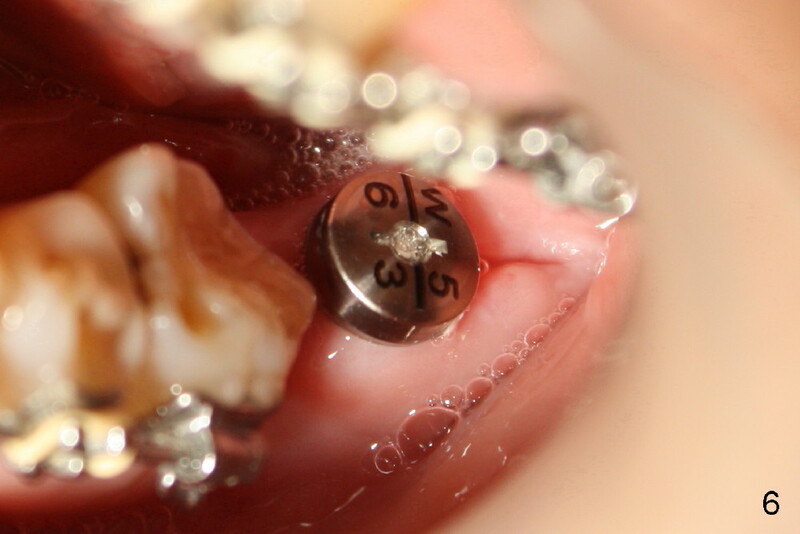 The gingiva heals 8 days postop (Fig.6). The 1st 4 coronal threads remains outside the bone 3.5 months postop (Fig.7 >). It appears that less thread exposure 1 year 7 months postop (Fig.8), suggesting bone growth. 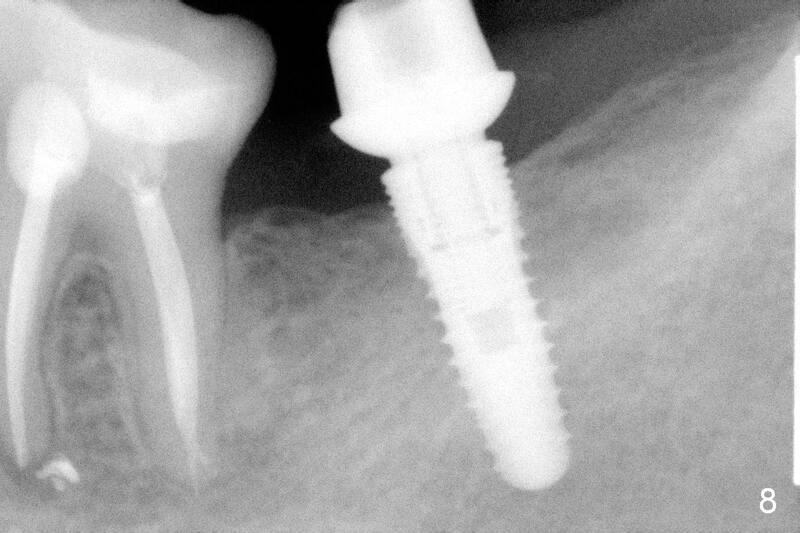 To prevent periimplantitis and facilitate restoration, place 2nd molar implant as deep as possible with slightly shorter implant.